A trip to India is to experience one of the world’s most colourful, energetic and diverse countries. Home to majestic palaces, soaring mountain peaks, emerald green waterways, and national parks filled with wildlife, there really is something for everyone in the family. The major cities of Delhi, Mumbai, Jaipur and Jodhpur are frenetic and exciting and a wonderful place to experience the traditional and modern ways of life side by side. Expert private guides will bring to life the incredible monuments scattered across these cities, but just as fun is weaving your way in and out of the colourful local markets and winding through narrow lanes that throng with bicycles, rickshaws and cows. The south of India is the perfect place to relax and enjoy some quality time together as a family. Distinctly different to the north, this is a landscape of serene waterways and lush rice paddies. Glide along the canals and rivers on a houseboat, enjoy a cooking class where you’ll learn how to get the blend of spices just right, and spend some time unwinding in the rolling green hills of the tea country. For active families the possibilities are endless, from hiking through the snow-capped peaks of the Himalayas and horse riding in the desert to cycling through the Aravalli Hills. 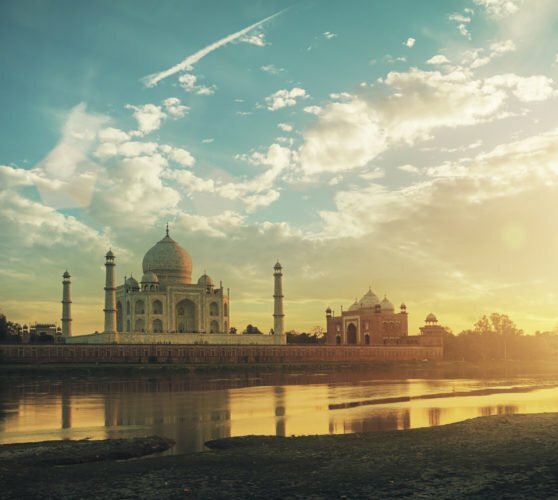 Not only does this show off some of India’s incredible natural beauty, but it brings you close to some of the more remote communities that live outside the country’s main metropolises. Perhaps the most exciting part of any family trip to India is getting close to its incredible wildlife. Ranthambore and Bandhavgarh are home to beautiful Bengal tigers while JAWAI safari camp in the middle of the wide open wilderness is your best bet for tracking the elusive leopard. And pretty much everywhere you go, you will be greeted with the sight of mischeivous monkeys swinging between buildings on the lookout for juicy fruit to steal from the local market. Throughout your trip, you will be accompanied by a private guide who will not only provide insight into the fascinating history and culture of this incredible country, but will make sure every transfer, train journey and tour runs smoothly. The best time to visit is during the dry, cool season between October and March. National parks in central and northern India are open from October until the end of June with sightings better from February onwards when there is less foliage. The dry season is also ideal for those wanting to trek in the far north.